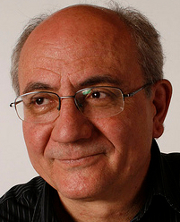 Artur Serra i Hurtado (1954) is Deputy Director of the i2cat Foundation in Catalonia,Spain, since its creation in 2003. This was one of the first European programs on Future Internet. Previously, he was founding member of the Center for Internet Applications at the Universitat Politecnica de Catalunya in november 1997 with Prof. Manel Medina.He got the Ph.D. In Cultural Anthropology in the Universitat de Barcelona in 1992, after completing a three years fieldwork at Carnegie Mellon University, doing an ethnographic fieldwork about the “Design Culture” of this American university, specially its School of Computer Science. Since the begining i2cat has focused in the convergence of media and Internet with projects like Opera Oberta, Megaconference, Dancing Q, and other developped in collaboration with Liceu de Barcelona, GEANT, Internet2, Cinegrid, KAIST, CANARIE, RNP from Brazil and other institutions globally.Artur Serra i Hurtado (1954) is Deputy Director of the i2cat Foundation in Catalonia,Spain, since its creation in 2003. This was one of the first European programs on Future Internet. Previously, he was founding member of the Center for Internet Applications at the Universitat Politecnica de Catalunya in november 1997 with Prof. Manel Medina.He got the Ph.D. In Cultural Anthropology in the Universitat de Barcelona in 1992, after completing a three years fieldwork at Carnegie Mellon University, doing an ethnographic fieldwork about the “Design Culture” of this American university, specially its School of Computer Science. In 2006, he started from i2cat the project Anella Cultural, Cultural Ring, connecting the cultural community from 5 cities in Barcelona and Catalonia to a future Internet media infrastructure. Currently, the Spanish government through AECID is willing to partnership with other institutions to deploy this infrastructure to the rest of Europe and Latinamerica during 2010.